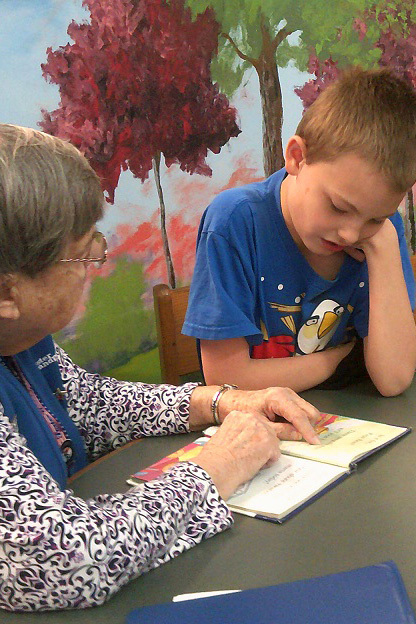 Foster Grandparents serve in schools, are involved in their communities, and are INCREDIBLE! The nation-wide Senior Corps Foster Grandparent Program is a classroom-based program Federally funded and sponsored locally by Thrive-Alliance. We train and support adults, 55 or older, to build intentional one-on-one relationships with children with special and exceptional needs and with at-risk children. Through mentoring and tutoring our Grandparents help children to develop foundations for success in school and in life. They teach, guide and share life experience with children; children teach and appreciate older adults and share the wonder of mastering new competencies. Children also keep older adults in step with their young world, such as new technologies, trending topics and their ideas and dreams. These relationships are mutually beneficial and often life-altering for both the children and their senior-age mentors. 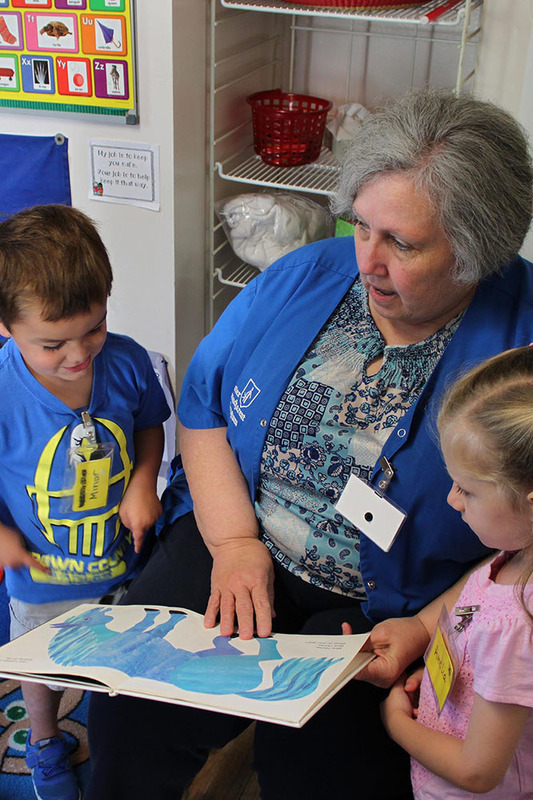 Eligible adults serve in public and private school classrooms and Head Start Centers across five Indiana counties (Bartholomew, Brown, Decatur, Jackson, and Jennings). Foster Grandparents must be at least 55 years of age, pass a criminal history check, and meet income eligibility guidelines. They must demonstrate an unlimited capacity for patience, compassion and the development of children. Our Grandparents serve 15 hours per week or more, receive an hourly, tax-free stipend for their time (about $150-$250 per month), travel reimbursement to/from their assignments, supplemental liability insurance, paid monthly training, vacation and sick pay. In addition, they learn about services and topics for living well, living safely and improving the quality of their lives. Most importantly, they learn and build the skills and confidence to work effectively with children so they can succeed in school and in life.